Mercury Award Winner 2011 was announced September 6th at the Grosvenor Hotel in London. 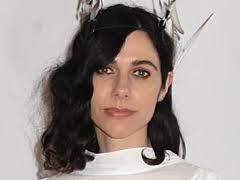 PJ Harvey was announced the winner with her album ‘Let England Shake’, she accepted her award as well as a £20,000 cash prize with a composed and direct speech. In her speech she stated “First of all I’d like to say thank you very much for this award, and the recognition of my work on this album”. PJ Harvey, the 1st two-time winner of the award, made reference to her former win, which notably took place on September 11, 2001. This was of course outshined by the terrorist attacks in New York. She explained “It’s nice to actually be here. I was in in Washington DC watching The Pentagon burning from my hotel window, so it’s good to be here. So much has happened since then. This album took me a long time write. It was very important to me, I wanted to make something that was meaningful not just for myself but for other people, hopefully to make something that would last”. Harvey went on to thank “the people that have supported her throughout her career,” her manager, her record company Island, agents and “those who helped me make ‘Let England Shake’”. The ceremony was broadcast on BBC Two and was hosted by Jools Holland. For the 1st time in the competition’s past, the nominated artists were booked to perform at the ceremony itself, although Adele did not attend due to illness. The full list of nominees included: Anna Calvi, Elbow, James Blake, Katy B, Metronomy, Tinie Tempah, PJ Harvey, Gwilym Simcock, Everything Everything, Ghostpoet, King Creosote & Jon Hopkins and Adele. This entry was posted on Wednesday, September 7th, 2011 at 10:41 am	and is filed under Music News. You can follow any responses to this entry through the RSS 2.0 feed. Both comments and pings are currently closed.